MONBETON DE BROUILLAN, dit Saint-Ovide, JOSEPH DE, officer in the colonial regular troops, governor of Île Royale; b. 1676 at Bourrouillan (dept. of Gers), France; d. 4 April 1755 at Saint-Sever (dept. of Landes), France. The father of Joseph de Monbeton de Brouillan, dit Saint-Ovide, was a brother of Jacques-François de Monbeton* de Brouillan; his mother was Charlotte Des Roches Duplesy. Although Saint-Ovide never married, he braved at least one adventure of the heart. At Plaisance (Placentia, Nfld.) about 1705 he divested one Renée Bertrand, aged 15, “[of] what is more sacred than anything in religion.” He seems not to have been held accountable for the child. 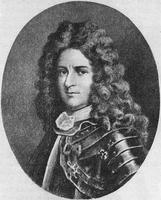 Renée Bertrand later married the younger Michel Leneuf* de La Vallière de Beaubassin, who served under Saint-Ovide at Île Royale (Cape Breton Island). After entering the Marine as a midshipman in 1689, Saint-Ovide followed his uncle to Plaisance as an ensign in the colonial regulars in 1692. He was promoted lieutenant in 1694 and captain in 1696. His period of service at Plaisance witnessed the most significant military accomplishments of his career in America. In 1696 he was introduced to the hit-and-run warfare characteristic of Anglo-French relations in Newfoundland; in an operation commanded by his uncle he led a detachment ashore at Bay Bulls in September and captured two English positions. From November of that year he participated in the massive five-month campaign which, under the direction of his uncle and Pierre Le Moyne* d’Iberville, devastated nearly every English settlement on the island. He also accompanied André de Nesmond’s squadron to St John’s in 1697. In the years that followed he enjoyed a respite from warlike activity. At Plaisance, however, he, like other French officials, fell victim to the irascible interim commander, Joseph de Monic*. He was twice incarcerated in 1701, but when his eyesight began to suffer in prison he was transferred to house arrest. Saint-Ovide took leave in France in the autumn of 1705, returning to Plaisance as king’s lieutenant in 1707. The trust he inspired in his new superior, Philippe Pastour* de Costebelle, was soon to result in the most distinguished action of his career: the attack on St John’s in 1709. In the autumn of 1708, Saint-Ovide, who had initiated the plan, gathered together a motley band of 164 volunteers and set out overland for the English stronghold. Supplied by Joseph Lartigue, the expedition was supported by the frigate Vénus under Louis Denys de La Ronde and 50 men carrying artillery, munitions, and supplies. The party arrived before the English forts at St John’s in the early hours of New Year’s Day 1709. Completely undetected under cover of darkness, it took up positions around Fort William and awaited Saint-Ovide’s signal. What ensued, if we may credit the commander’s own account, was an action of unusual efficiency, the irresolute English defence under Thomas Lloyd* notwithstanding. “I shouted long live the king. . . . I reached the covert way with 15 or 16 men and crossed the trench, [and] in spite of the gunfire from the two forts I set up the two ladders which I brought and ordered six men to climb up . . . when the inhabitants saw that I controlled the ramparts [they] asked for quarter. . . .” The entire action, in which the French lost three killed and 11 wounded, was over in little more than an hour, and Saint-Ovide was rewarded with the cross of Saint-Louis. 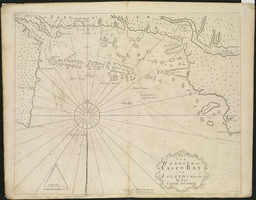 Costebelle realized, however, that his resources would not allow him to retain this conquest for long, and in April he ordered St John’s abandoned. Saint-Ovide complied reluctantly, the forts were destroyed, and English artillery and munitions worth more than 50,000 livres were carried off. Saint-Ovide next embarked upon a brief career in privateering, taking command of the frigate Valeur which he, Costebelle, and one Lasson (probably Georges de Lasson) outfitted in 1710. Costebelle’s misgivings about his lieutenant’s abilities as a mariner (“He should not pride himself on being an expert seaman”) were borne out, for Valeur was promptly captured, and captain and crew were imprisoned in England. For many years Saint-Ovide’s eloquence served him best in avoiding the consequences of his acrimonious relations with senior Louisbourg officials: the financial commissaries, Jacques-Ange Le Normant de Mézy and his son, Sébastien-François-Ange*, and the engineers Jean-François de Verville* and Étienne Verrier. Although his differences with the Mézys were frequently only petty in substance and characterized by quarrels over precedence and rank, the resulting absence of harmony and administrative solidarity caused more damage to the welfare of the colony than the divisions between the governor and the engineers. Saint-Ovide’s disagreements with Verville arose from their opposing views on the practical defence of Louisbourg. Saint-Ovide’s reasoning, though sound (“we should not be looked at in this country in the same way as a town in Europe”), was no match for the prestige enjoyed by the Corps du Génie. As a result, Louisbourg received, at enormous cost in time and money, classical European fortifications when “a good, well flanked enceinte . . . to give protection from a surprise attack” would have been amply sufficient. There can be little doubt that the defence of the French interest in North America in the crucial period between the wars of the Spanish and the Austrian successions presented Saint-Ovide with the most significant opportunity of his 45 years there. His instructions were, essentially, to foster the loyalty of the Acadians and the Micmacs to the French and to encourage their active hostility towards Nova Scotia’s new masters. Secrecy was, of course, important. “Your steps in this regard should be taken very cautiously,” warned Maurepas, the minister of Marine, “so that they [the English] do not suspect that we know of them. . . .” It is difficult to appraise Saint-Ovide’s contribution in this area. His reports to his superiors and his instructions to the missionaries (his agents in fact) in Nova Scotia all indicate vigour and determination. Similarly energetic were his harangues to the assemblies of Micmacs who gathered annually at Port-Toulouse (St Peters, N.S.) and Île Saint-Jean (Prince Edward Island) to receive the wages of their loyalty to the French king in the form of powder and ball, muskets and utensils. But the record of Saint-Ovide’s performance in diplomatic incidents, in particular the claims on Canso made by Thomas Smart* in 1718, suggests a degree of irresolution. Other aspects of Saint-Ovide’s administration were less attractive as well. By the mid-1730s his involvement in trade at Louisbourg had so compromised his position that his governorship became untenable. The earliest evidence of his commercial pursuits dates from his first leave back to France in 1705 when he carried with him aboard the king’s vessel 108 1/2 quintals of marketable cod. Such activities were apparently not unusual among Plaisance officials, 13 of whom employed 92 men in the fishery in 1706. Saint-Ovide employed 14. The outfitting of the Valeur in 1710 was similarly a private venture. It was, moreover, with a view as much to his personal interest as to the glory of French arms that Saint-Ovide had sought to command the expedition against St John’s in 1709. The council of Marine later received complaints about the amount of his gains. Soon after his arrival at Louisbourg in 1714 Saint-Ovide, anticipating Louisbourg’s role as a clearing house for the trade of France, England, and their respective colonies in America, “purchased for himself” the entire contents of four Boston merchantmen. There is ample evidence as well pointing to an elaborate network of local commercial patronage involving Saint-Ovide and his military subordinates (such as François Du Pont* Duvivier) in the fishery, in the local carrying trade, and in the protection of contraband trade with New England. Another allegation, seemingly well founded, went so far as to link him with a quarter interest in the contract for the king’s works obtained by François Ganet and Gratien d’Arrigrand in 1725. By the late 1720s complaints against Saint-Ovide’s high-handed control of the trade of Île Royale had reached such proportions that Maurepas was moved to warn, “It is to your interest that there should be no more complaints on this score.” Saint-Ovide for his part dismissed the accusations as “slander which some low and evil person has invented against me,” and indeed the controversy ebbed for a time, aided not a little by the governor’s return to France from late 1729 to mid-1731. He was, in fact, promoted naval captain at this time. Not long after his return to the colony, however, complaints against him resumed. In 1733, for example, Intendant Hocquart* claimed that Saint-Ovide and Le Normant, in league with the Louisbourg merchants, were manipulating food prices to the prejudice of Quebec merchants. Saint-Ovide returned to France in November 1737 to see to family affairs at Bourrouillan. Although he was now 62, he reported to La Rochelle the following June, “waiting only for a good wind to get back to Île Royale.” By September, however, he was back at Bourrouillan, and during the ensuing winter Maurepas apparently had second thoughts about continuing him at Louisbourg. 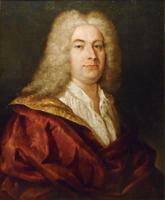 A successor, Isaac-Louis de Forant*, was appointed third governor of Île Royale on 1 April 1739. There is no doubt that the colonial authorities had valid cause for dissatisfaction: the commercial policies of Versailles had been virtually ignored for almost a generation, and years later François Bigot* continued to encounter “evidence of the sacrifice of the king’s interests made by Saint-Ovide for his own benefit and for the benefit of his creatures.” With the advance defences of New France, Forant inherited, by his own admission, the worst set of officers and men he had ever known and a liquor problem which had long been out of control. AD, Landes (Mont-de-Marsan), État civil, Saint-Sever, 5 avril 1755. AN, Col., B, 40, ff.514–17v; 51, ff.62v–63v; 52, ff.581v–86, 586–88; 53, ff.590–92v; 54, ff.498, 506–7v; C11A, 60, ff.280–84v; 69, ff.243–46; C11B, 1, ff.11–11v, 82–85, 149–64v, 211–11v, 462–64v; 2, ff.163–84v; 3, ff.76–86, 179v–80; 5, ff.100–4, 340ff. ; 10, ff.85–87; 18, ff.28–29; 19, ff.51v–52; 20, ff.37–37v, 39–39v; 21, ff.290–91v; 22, ff.149–51v, 158–63; 32, ff.64–65; C11C, 3, ff.192–215; 5, ff.214v–15, 300–1, 335v; 6, ff.4–10, 137–86v, 276–83, 294–99; 7, ff.42–50, 263–69v; D2C, 222/1, pp.102–3 (PAC transcript); E, 53 (dossier Brouillan), 59 (dossier Cailly); Marine, C7, 295 (dossier Saint-Ovide de Brouillan); Section Outre-Mer, G2, 178, f.279; G3, 2038 (16 octobre 1733); 2041 (22 mai 1752, 27 mars, 4 juillet 1753). Charlevoix, Histoire de la N.-F. (1744), II, 188, 331–34, 399–400. Coll. de manuscrits relatifs à la N.-F., II, 145, 559–68; III, 27–168. Journal de l’expédition de d’Iberville en Acadie et à Terre-Neuve, par l’abbé Beaudoin; lettres de d’Iberville, Auguste Gosselin, édit. (Les Normands au Canada, Évreux, France, 1900). N.S. Archives, I, 4–105; II, 59–107; IV, 8–9. DBF, VII, 446. Le Jeune, Dictionnaire, II, 600–2. Brebner, New England’s outpost, 57–103. J.-M. Cazauran, La baronnie de Bourrouillan . . . (Paris, 1887). 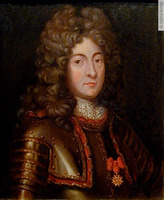 Robert Le Blant, Un colonial sous Louis XIV: Philippe de Pastour de Costebelle, gouverneur de Terre-Neuve puis de l’île Royale, 1661–1717 (Paris, Dax, 1935), 78–227. McLennan, Louisbourg, 10–191. Parkman, Half-century of conflict, II. “Pastour de Costebelle et les officiers de la garrison de l’île Royale,” Nova Francia, II (1926–27), 177–80. Bernard Pothier, “MONBETON DE BROUILLAN, Saint-Ovide, JOSEPH DE,” in Dictionary of Canadian Biography, vol. 3, University of Toronto/Université Laval, 2003–, accessed April 19, 2019, http://www.biographi.ca/en/bio/monbeton_de_brouillan_joseph_de_3E.html.